Trinity Mirror has released a series of glossy magazines featuring collections of lost photographs capturing the history of Britain going back over 150 years. As part of its media heritage project, the publisher has unearthed thousands of pictures that have remained untouched for several decades. The project began earlier this year after Trinity announced plans to centralise its photographic archives into its existing library in Watford. 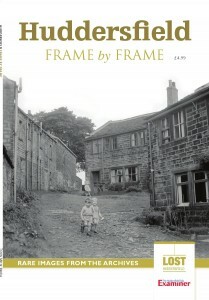 Entitled ‘Frame by Frame’, the eight magazines include versions for Huddersfield, Manchester, Newcastle, North Wales and Teesside. More magazines and a series of digital editions are planned by the end of the year. Ken Rogers, managing director of Trinity Mirror Sport Media, said: “We’re delighted to bring to life the treasure trove that is Trinity Mirror’s photographic archives for the benefit of our readers. “We fully understand the value of our combined library resources that capture the history of Britain in words, pictures and headlines going back over 150 years. The magazines can be bought in WHSmith, local newsagents or online via Mirror Collection.